Freehand Edge to Edge (hand guided no Pantographs) is one simple freehand design over your entire quilt with one thread color. 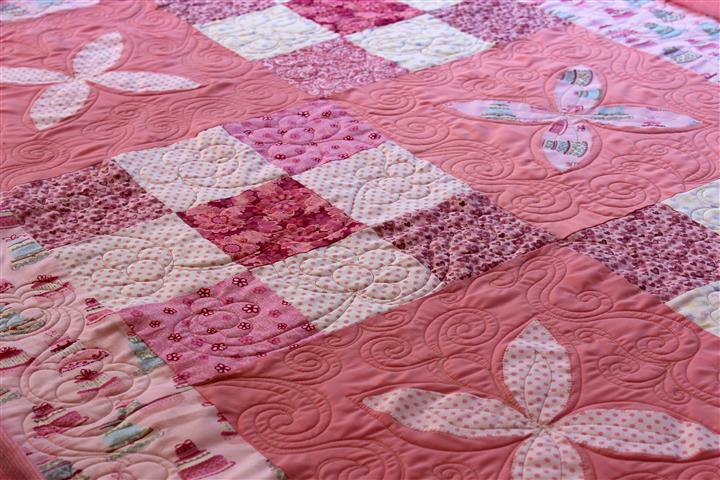 This freehand design will move across the quilt top freely regardless to the piecing style, including the borders. I would be happy to suggest an appropriate freehand design for your quilt. Cost starts at 2 cents per square inch ($0.02). There is a $50.00 minimum quilting fee. Limited Custom Quilting builds from my freehand edge to edge quilting and includes a repeated design motif over or within each individual block with simple designs in sashing and borders. These designs are larger in scale but are consistent in density. Generally there is very little or no stitch in the ditch and no ruler work. Cost starts at 3 cents per square inch ($0.03). There is a $50.00 minimum quilting fee. Full Custom Quilting builds from my limited custom quilting and includes unique block designs, may include stitch in the ditch, ruler work, dense quilting and etc. 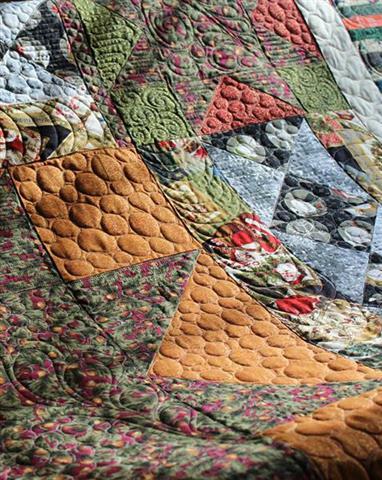 All designs will work together to create a consistency within the quilt. Costs starts at 5 cents per square inch ($0.05). There is a $75.00 minimum quilting fee. I have high quality batting available for your convenience which may be purchased directly from me for the best quilting results. 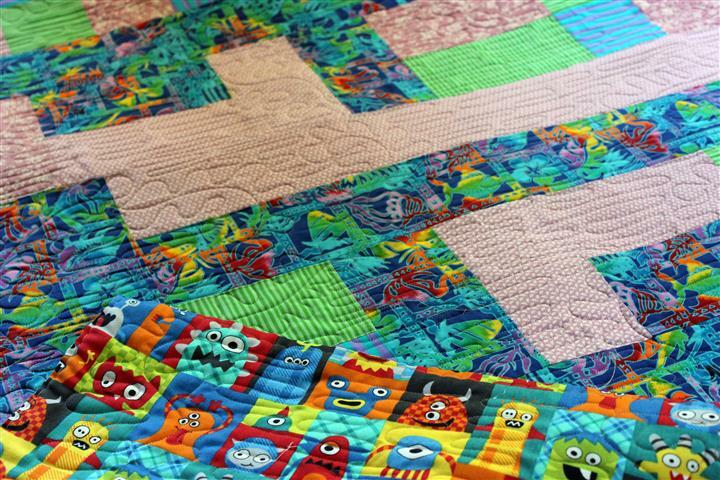 I offer Quilter’s Dream Battings. I do not accept personal battings due to the differences in quality and performance. I have found my machine does not play nicely with some of the lower quality battings on the market today and using those sorts of battings is not the quality or professionalism I strive for in my quilting designs. I personally only use high-end quality battings for my own quilts and I would recommend no less for your special quilt. The cost of batting is based on your quilts size plus 6 inches wider and 6 inches longer than your top. Crib size for $15.00 (46” x 61") a special blend of fibers that will not melt when it comes in contact with flame, provides a soft, warm batt with excellent draping and no chemical additives, recommended for infant bedding.